Ravins R20 Sniper Package comes complete with everything you need for deadly downrange accuracy. This package comes with a high quality Ravin Sniper Scope mounted to a Jack Plate Adjustable Elevation Mount that you can adjust anywhere between 20 and 200 yards. 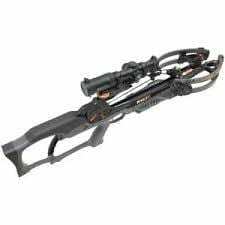 It also comes standard with a riser level and premium arrows for shooting perfection.